New Construction and Replacement Roofing | Peddie Roofing & Waterproofing Ltd.
Peddie Roofing installs primary roofing assemblies. 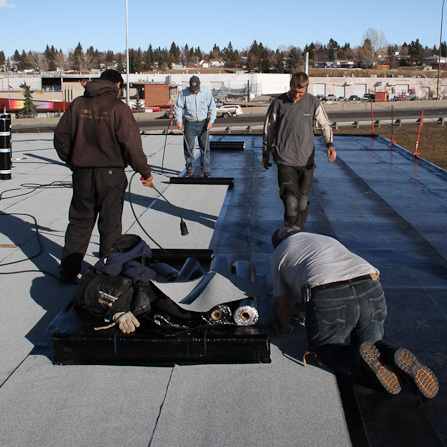 General Contractors know they can count on Peddie Roofing to get the job done. Peddie has the expertise and commitment to quality that meets or exceeds the most demanding expectations. The company is a team player that works in close collaboration with other sub trades to ensure the seamless completion of each project. 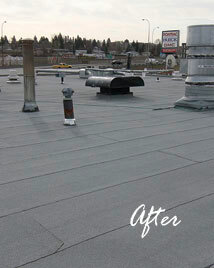 We install a variety of new roof systems and have years of experience installing primary roofing assemblies. 5, 10, 15 year Manufacturers Warranties.